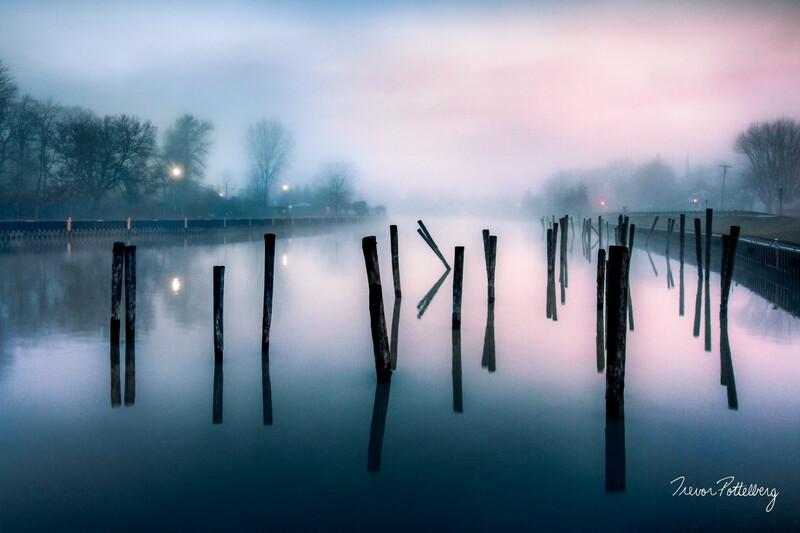 "Awakening" - by Trevor Pottelberg, features a silently still dawn unfolding over rows of silhouetted pillars. Soft pinks and blues fill the sky with a think fog rising in the distance. I love watching mornings come alive, especially in early spring just after ice out!